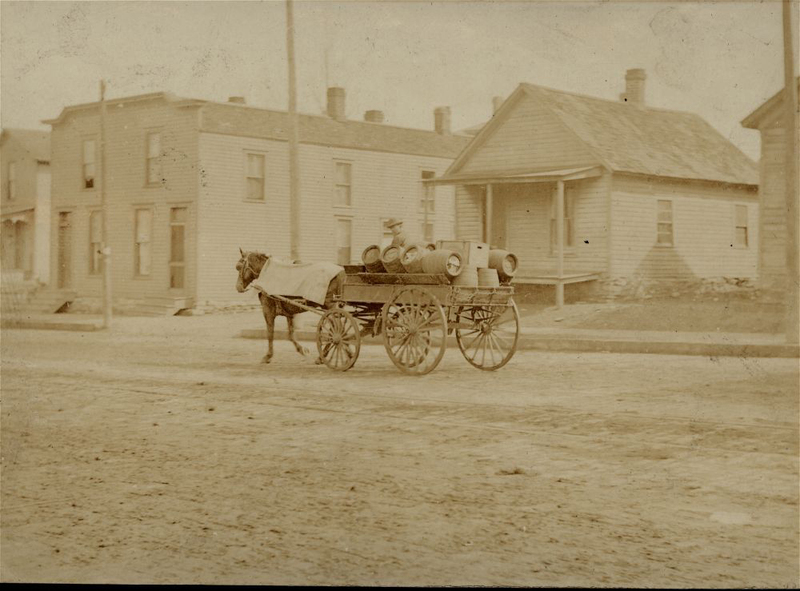 This photo from an unknown location depicts an everyday scene from the early days of Kansas breweries, when kegs of beer were delivered around town — and empties picked up — by horse and wagon. 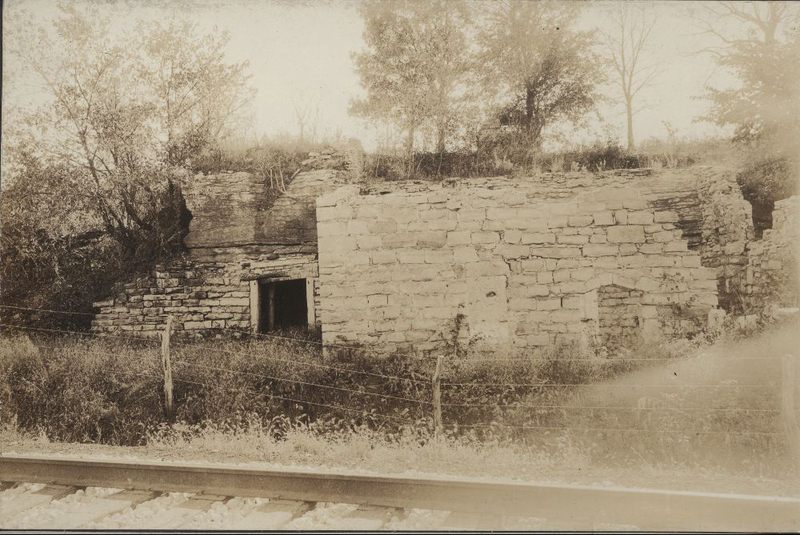 This photo of the ruins of Eudora's Bartusch Brewery is the only known image of the brewery, which supplied beer to Eudora's saloons and residents from roughly 1862 until 1882, when it closed because of state prohibition. 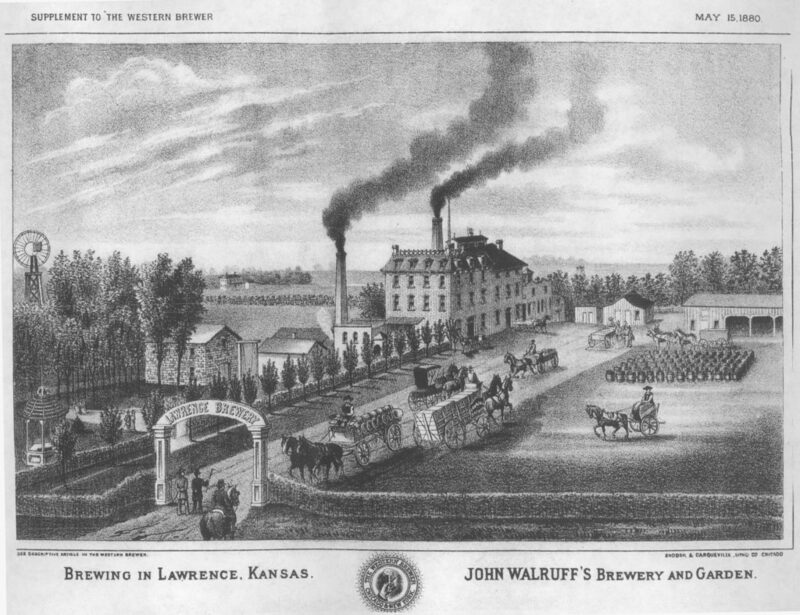 Read the Journal-World’s 2010 feature on Lawrence’s Walruff Brewery. An illustration of the Walruff Brewery in 1880 from The Western Brewer. 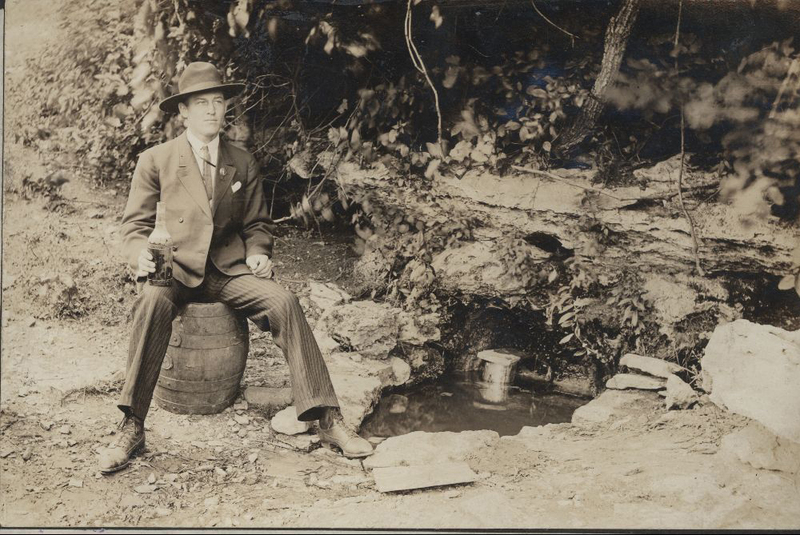 William Ederwein of Goff, Kan., sits on a keg near a spring where bottled beer was placed to cool during the summer months at the turn of the century. Prohibition shut down most Kansas breweries, but many residents continued, though cautiously, to obtain and enjoy beer. While some early Kansas settlers may not have known otherwise, those from Germany were accustomed to a life where celebrations, meals and most Sundays were washed down with fresh beer. But in the days before refrigerated railcars rolled through every small town, there was really only one way to keep up that kind of life on the plains. Breweries were big business in pre-Prohibition Kansas, where many tiny towns had one and bigger cities had several. 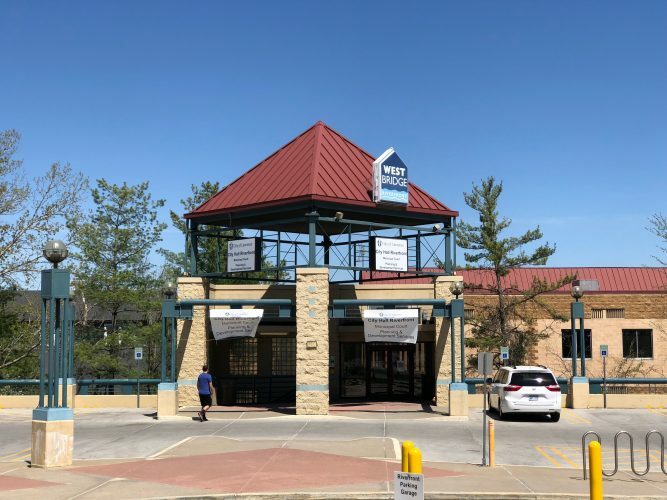 Lawrence was home to a large operation called the Walruff Brewery, but fewer people realize even neighboring Eudora had its own brewery that not only stocked the town’s numerous pubs and German bellies, but also helped bastion Germanic cultural and social life there. The “old Dutchman” was town brewer Charles Bartusch of Prussia, who arrived in Eudora with his wife in 1862, Higgins wrote in “Where the Wakarusa Meets the Kaw: The History of Eudora, Kan.,” published online at eudorakshistory.com. 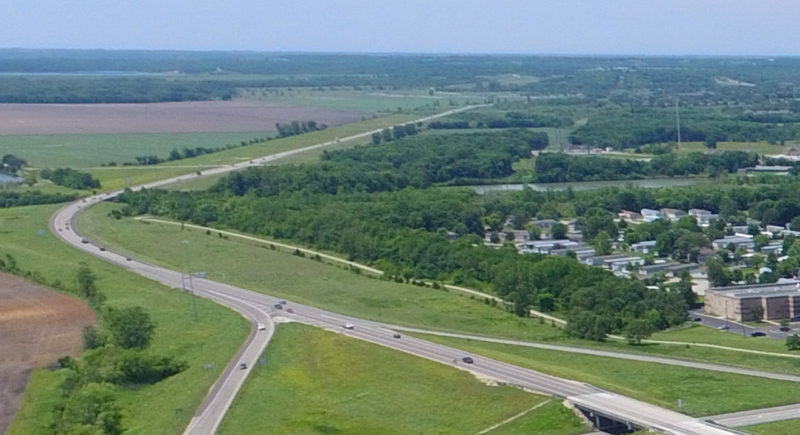 The “hole in the ground” was Bartusch’s brewery, located along the railroad tracks at the confluence of the Wakarusa and Kansas rivers. Higgins, a Eudora resident, includes Eudora’s brewery in her book, “Kansas Breweries and Beer: 1854-1911.” Since the book came out in 1992, she’s seen the previously all but forgotten subject spike in popularity. On Saturday evening, she’ll speak about her research at a special “Beer Night” event at the Watkins Community Museum of History, 1047 Massachusetts St. In addition to the history talk, Lawrence’s modern-day breweries, Free State and 23rd Street, will provide beer samples and Lawrence Brewers Guild members will be on hand to talk about homebrewing. 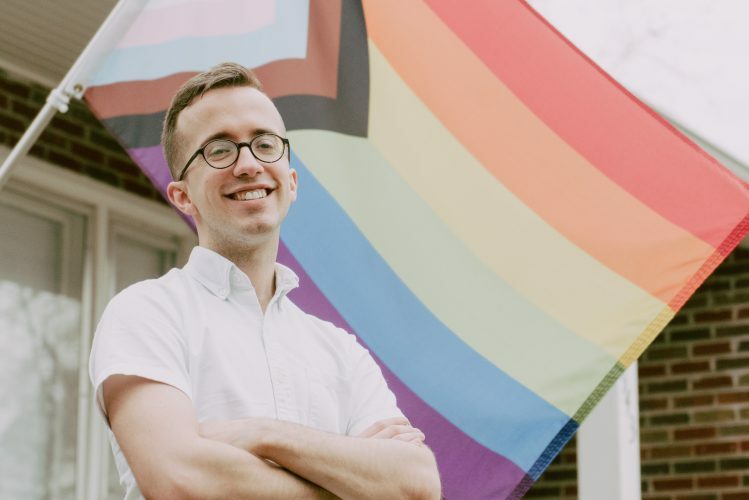 Saturday’s event is full with a waiting list as long as its capacity — a testament to people’s fascination with the subject, said Abby Pierron, education and programs coordinator for the museum. Federal Prohibition lasted from 1920 until 1933, but in Kansas, breweries were shut down decades earlier and not allowed to reopen until decades later. In 1987 Kansas law was relaxed to allow “brew-pubs,” and in 1989 Free State Brewing Company opened as Kansas’ first licensed brewery since state prohibition. By that time, more than a century had passed since the last brewery operated legally in the state — plenty of time for a lot of brewery documentation and memories to be lost or forgotten. 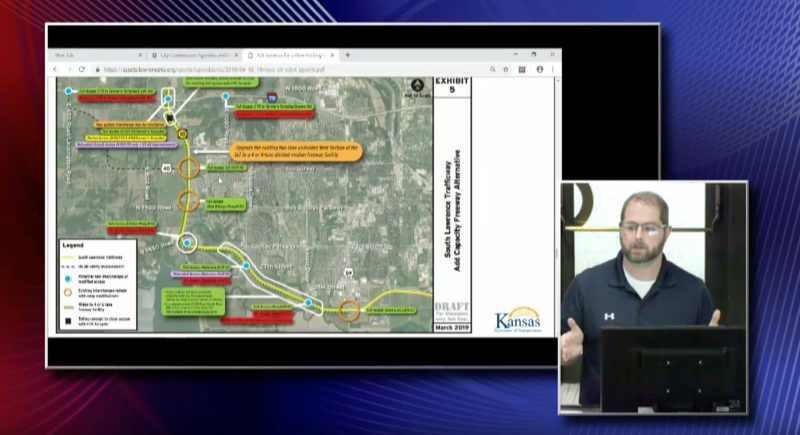 Before they were outlawed, Kansas had more than 90 commercial brewing plants, making it a significant industry for the state, according to Higgins’ research. In Eudora, the Bartusch Brewery produced 200 barrels a year, she said. In addition to supplying beer for the town’s saloons — far more numerous than they are now — Bartusch played a role in building Eudora’s Turner Hall, Higgins said. Such halls, found in most German-settled towns, derived their names from Germany’s traditional Turnhalles, where residents would gather to practice gymnastics, play other games such as bowling or fencing, and, of course, drink beer. He no doubt also provided the fuel for Eudora’s Bock Sundays, gatherings featuring beer drinking and games similar to those enjoyed by German settlers in larger towns, where breweries set up beer gardens in shady groves for just such a purpose. “Germans and other beer aficionados drank their Kansas brew served up in pails, by the glass, or by the bottle in saloons. 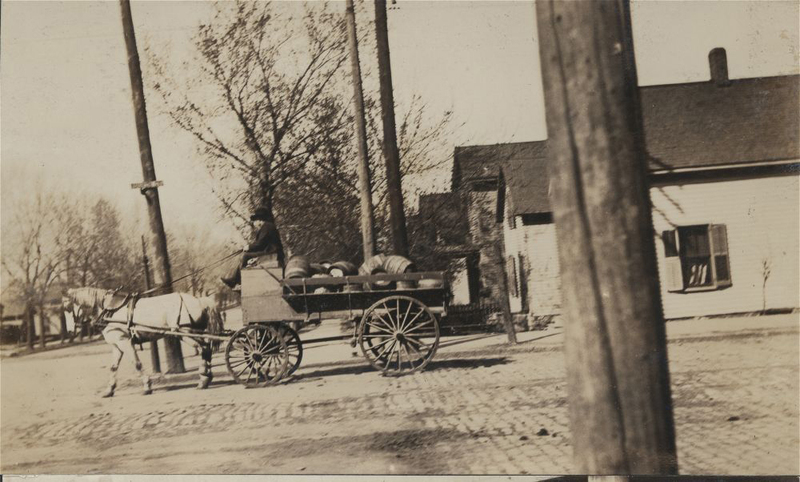 They drank at restaurants, holiday celebrations, community picnics, and on the street as the brewery teamster made his rounds and sold beer off the wagon in a manner similar to ice cream vendors,” Higgins wrote in an article for the Kansas Historical Society. But it wasn’t injury that stopped Bartusch from brewing — it was state prohibition. Unlike a number of Kansas breweries who fought the law — Walruff took one of the most famous stands — or continued operating illegally, Bartusch closed his brewery in 1882, let go his Bavarian assistant, John Greiner, and sought a new line of work. He opened a bakery and later an ice cream parlor and restaurant on Eudora’s Main Street. 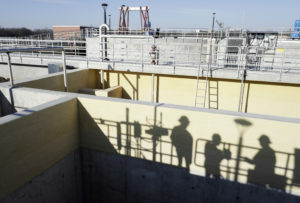 Bartusch abandoned the old stone brewery building, which was devastated by fire in 1903, caused by a spark from a passenger train’s smokestack, Higgins wrote. 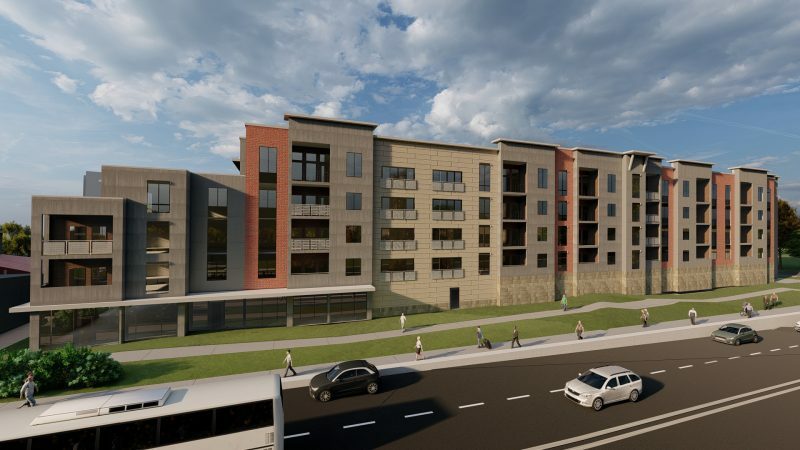 Through the years, the building slowly crumbled until the railroad finally leveled it. The sudden shutdown of their livelihood left many brewers in financial ruin and sent others packing to faraway states, Higgins said. Though more covert beer drinking continued, the culture that once surrounded it in Kansas towns would never return in the same way.